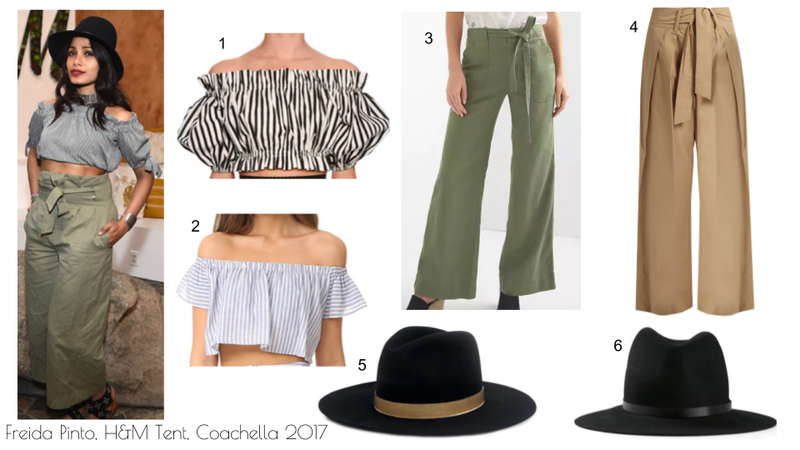 The amount of boho and vintage fashion at Coachella 2017 in Indio, California was simply outstanding! Slumdog Millionaire‘s Freida Pinto caught my eye in a well put together boho chic ensemble while visiting the H&M tent at the music festival this year. She wore a green khaki tie front wide-leg pant with an off-the-shoulder crop top and a black fedora. 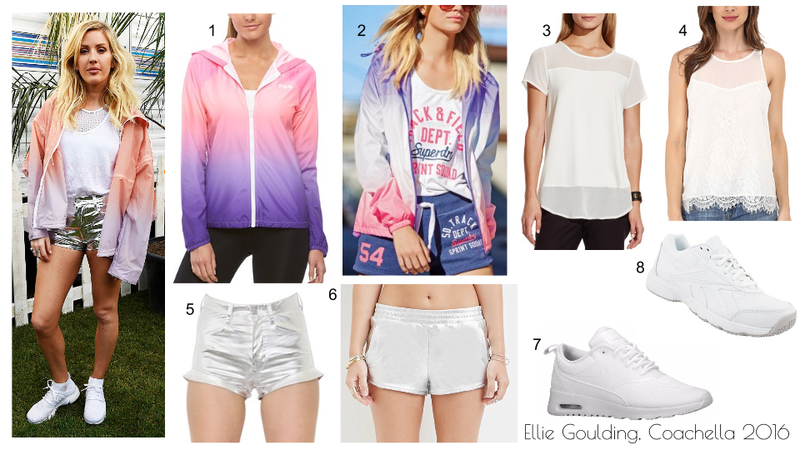 It’s the perfect outfit for a festival, as the weather changes throughout the day, leaving you feeling not too hot and not too cold all at once. My fave part of the outfit is the fedora. I have a small collection of fedoras myself, and I wouldn’t mind adding one like Freida’s to it. 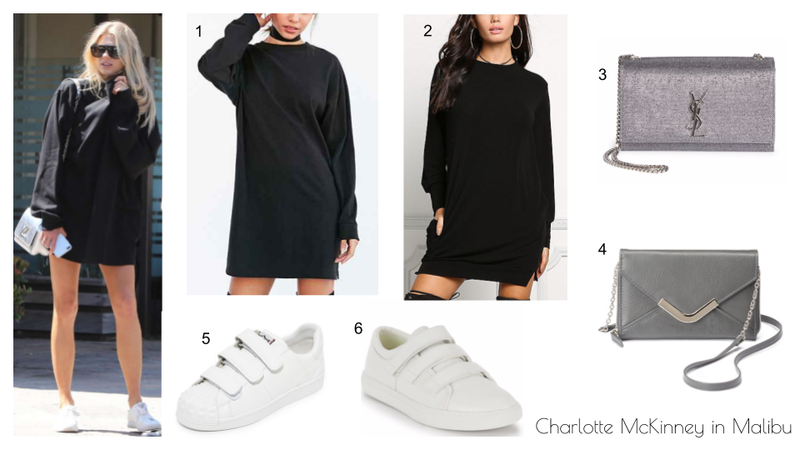 See below for similar items to copy the look! 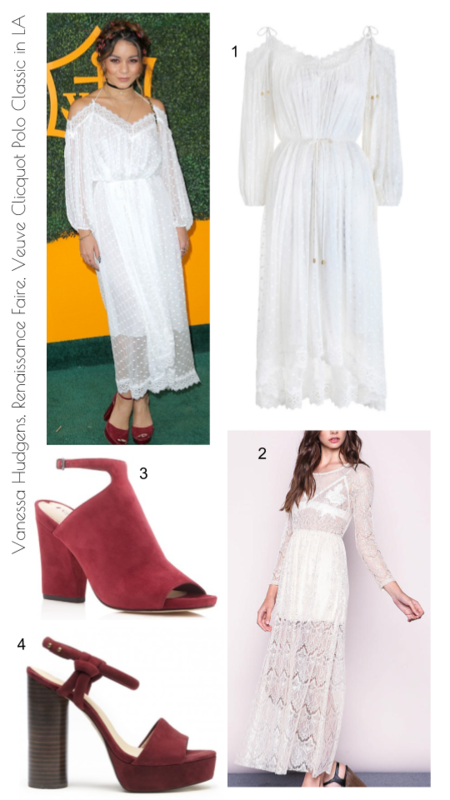 Our Boho Queen Vanessa Hudgens was spotted at the 7th annual Veuve Clicquot Polo Classic in LA looking absolutely radiant in a white scallop lace dress. She completed the look with a pair of wine red platform sandals and a braided crown hairdo. Her cheeks looked blushed up with a rose pink tint as well. I’ve never worn a white lace dress before, but if I ever do, I’ll be turning to Vanessa for some inspiration. Below is the original dress (marked with *) and some similar items to help you steal this super cute boho look. Since everyone is going on spring break, I decided to pull this gem by Joyce Dallal from my camera roll. 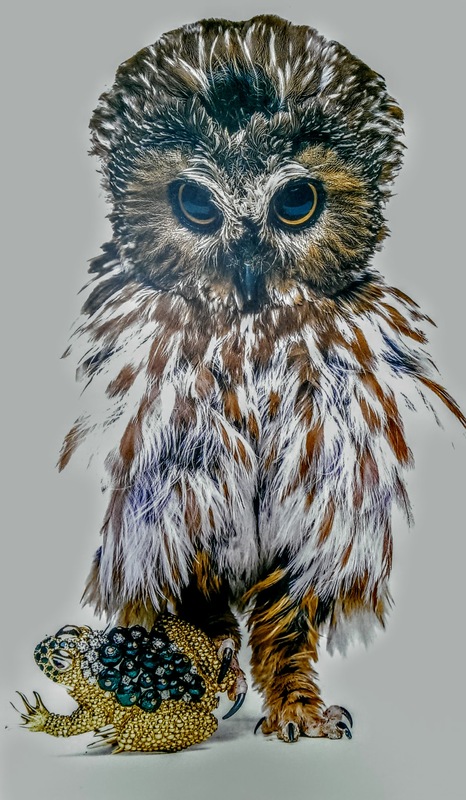 I saw this piece at LAX on the way back from Los Angeles in September 2015. 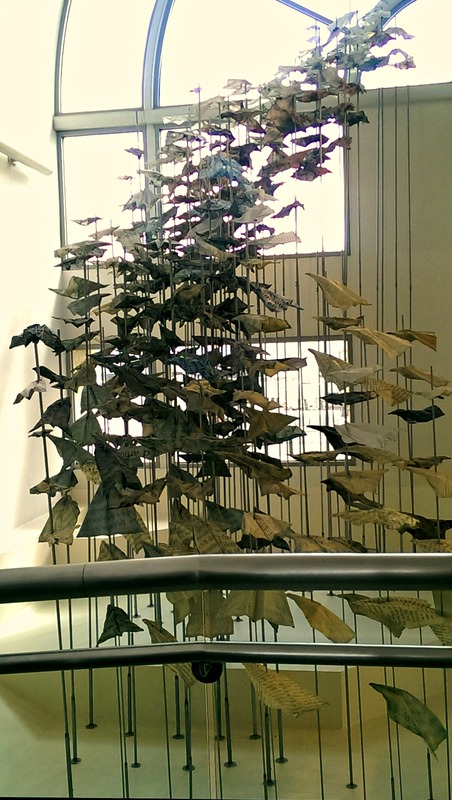 Called Elevate, Joyce Dallal uses paper airplanes to symbolize the departures that occur at the airport on a daily basis. What I love most about the installation is the way it’s positioned. The paper airplanes are spiraling upwards in unison, almost as if they intend to fly straight out the window. Learn more about the current artwork at LAX here.